Today’s numbers paint a clear picture – 9 out of 10 home buyers will start their search online for a new home. Knowing this, it is important to have a strong web presence and differentiate yourself from the competition. 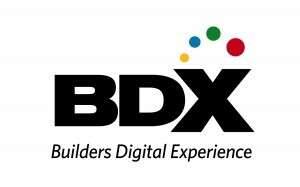 The BIAGV has partnered with Builders Digital Experience (BDX) to power the new home listing section of the website. Builder members can have their homes and communities listed on the BIA’s website, http://www.newhomesource.com/biagv, and also on the two leading new home websites, NewHomeSource.com and MoveNewHomes.com for FREE. These heavily trafficked sites see over 1 million unique visitors each month – this is a huge advantage for your company. Signing up is easy and the time commitment on your end is minimal — BDX will help you upload your initial community data and train you on how to keep it updated going forward. • Comprehensive listings plus images and mapping. • One-time implementation fee is waived. • Free online exposure for you and your company. Set yourself apart from the competition and improve your exposure among new home buyers by signing up for the free listing program by visiting www.theBDX.com/Free. A joint venture between Move, Inc. and Builder Homesite, Inc., Builders Digital Experience (BDX) is a trusted resource for your digital marketing needs. In addition to the top new home listing sites — NewHomeSource.com and MoveNewHomes.com, BDX offers website development, mobile marketing capabilities, interactive floor plans, photo realistic renderings, video production, email services, social media packages, and innovative sales center technologies. Together these online and interactive resources help builders create a true digital experience for their buyers. For more information visit www.theBDX.com or contact Theresa @ TCirigliano@thebdx.com.